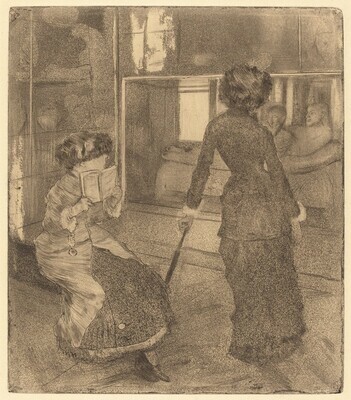 Prints by James McNeill Whistler and His Contemporaries, National Gallery of Art, Washington, 1995, as Mary Cassatt at the Louvre: The Etruscan Gallery. The Unfinished Print, National Gallery of Art, Washington, 2001, as Mary Cassatt at the Louvre: The Etruscan Gallery. "The Unfinished Print", The Frick Collection, New York; Städelsches Kunstinstitut Frankfurt am Main, 2004-2005.